Jack Brickhouse outside the broadcast booth in the old pressbox at Wrigley Field (left). His profile rose even higher when WGN-TV began televising 145 or more Cubs games a season starting with the 1968 season opener in Cincinnati, recorded by Brickhouse’s scorecard (right). Most identified with the Cubs in his unparalleled Chicago broadcasting career from 1940 through the mid-1980s, Jack Brickhouse couldn’t be classified as anything else but a “homer” in the Wrigley Field booth. A most exciting homer, at that. Brickhouse knew the Midwestern audience. Cubs fans wanted their announcer to root for their team. His viewership was first amassed in the dozen Illinois, Indiana, Wisconsin and Michigan counties-within the over-the-air signal range of “good ol’ Channel 9.” That audience later multiplied over the multi-state network WGN-TV began for Sunday games and selected weeknight road contests in 1967. Finally, the dawn of WGN’s superstation status in 1978 coincided with Brickhouse’s last few years of play-by-play. Phil Wrigley charged $300,000 a year less for broadcast rights than the crosstown White Sox, so Jack Brickhouse was careful in his on-air comments, lest he kill WGN’s golden goose. “He made the game exciting,” said Cubs Hall of Famer Billy Williams, whose ironman career (1,117 consecutive games played) Brickhouse broadcast from 1959 to 1974. “A lot of people thought he was a homer, which he was,” said Williams, who would watch taped clips of Brickhouse’s trademark “Hey Hey” calls of his home runs on the 10 p.m. news. “You could tell in his voice. He was a Cub fan and he rooted for the Cubs. Brickhouse projected sunny optimism most days, even as the Cubs descended into their worst dark ages in 1947, just in time for his tenure as Chicago’s most enduring TV play-by-play announcer. And that’s the rub. Knowledgeable about the game and also charged with negotiating WGN’s sports contracts, he figured privately there were more qualified owners than Philip K. Wrigley and more capable general managers than James Gallagher, Wid Matthews, John Holland, Salty Saltwell and Bob Kennedy. “Jack was very opinionated,” said WGN-TV sports anchor Rich King, who worked with the legend at the start of King’s career in the late 1960s. “He was more opinionated off the air than he was on the air, actually. Jack was of the philosophy that on the air you support the team, and he did most of the time. Yet Brickhouse was armed with facts not readily available to the general public, and likely ignored by the era’s beat writers, who focused on writing just play by play of the game. WGN was getting the Cubs video rights for a song, assuring healthy profits from the staple beer and gasoline sponsors, even in the numerous 90- or even 100-loss seasons. 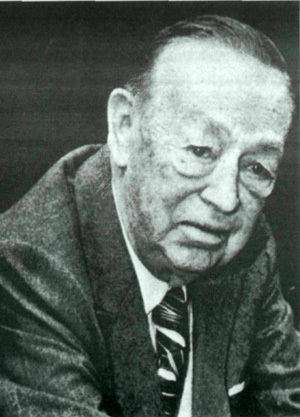 When TV entered the Cubs broadcasting picture on an experimental basis in 1946, then full-bore in 1948-49, Philip Wrigley simply continued the franchise’s broadcasting and marketing policy. It began with radio in the 1920s by his father, William Wrigley, Jr. and trusted team president William L. Veeck, Sr.
Against the conventional ownership wisdom of the time, a philosophy that finally died with the passing of Blackhawks owner Bill Wirtz in 2007, the Cubs’ two men-named-William believed broadcast exposure whetted the appetite for paid admissions to later games. 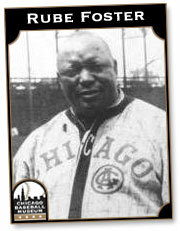 They were proved right by the 1929 Cubs leading the majors with nearly 1.5 million in attendance. Two years later, seven radio stations aired Cubs home games without any paying a rights fee. Cubs broadcast rights fees were free or low-cost when Ronald Reagan (left) and Jack Brickhouse began as radio sportscasters in the 1930s. 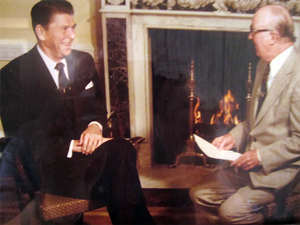 Brickhouse interviewed Reagan in the White House for 11 minutes in 1981. The city’s first TV station, WBKB-Channel 4, was welcomed into Wrigley Field with “Whispering Joe” Wilson as announcer in ’46. A year later, after spending a season as the New York (baseball) Giants radio announcer, Brickhouse returned home to team with Wilson for $35 a game on WBKB. He was re-hired at WGN — Brickhouse had broken into the market on WGN from 1940 to 1943 — early in 1948, when Tribune Co. chief Colonel Robert R. McCormick put the Channel 9 signal on the air as the city’s second TV station. With Brickhouse at the microphone, WGN began its full home schedule of Cubs telecasts in April 1948 while also beginning White Sox broadcasts from old Comiskey Park. Then, in 1949, the ABC-owned WENR-TV, now WLS-TV, joined the baseball video extravaganza at Wrigley Field. Hall of Famer Rogers Hornsby, 20 years removed from his .380 Cubs season and subsequent Cubs managerial tenure, was lead announcer, assisted by Vince Garrity and Bill Brundidge. WBKB and WENR passed on the Sox, still stuck in their own dark ages that began three decades earlier with the Black Sox Scandal. The Cubs still had the veneer as the most popular team in town only four years after their last pennant, having drawn more than 1 million fans in that memorable 1945 season and each subsequent campaign. Faced with the bulky cameras and thousands of feet of cable from the three stations, Wrigley spent $100,000 of ballclub money to construct new video facilities. No rights fees were charged to the three TV stations. Their only costs were $5,000 apiece related to the construction project. WENR dropped out after one season. WBKB aired games with Wilson at the mike through 1951 before opting for expanded CBS daytime programming, prior to the station being purchased outright by the network in 1953. WGN had the Cubs TV monopoly and a sweet rights fee deal. Brickhouse knew who buttered his bread. He was not going to denounce Wrigley’s incompetent, meddling management, which included an utterly unproductive farm system, admitted to by Cubs officials. 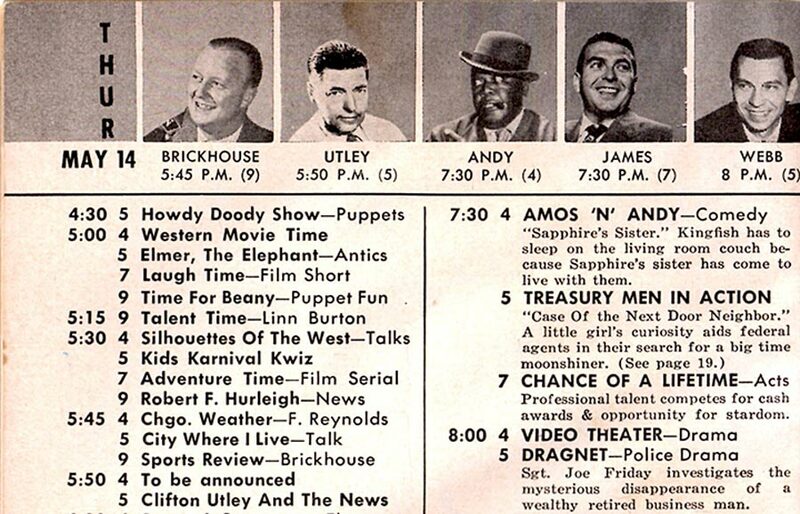 When WGN took the radio rights, estimated at $150,000 a year, away from their 14-season home on lower-powered WIND Radio in 1958, Brickhouse confided a bottom-line fact to station bossman Ward Quaal. WGN would lose money the first season, then “forevermore” make a profit. He was proven right until just recently, when WGN Radio re-opened the Cubs contract due to mounting losses during the planned team downslide of the Ricketts family ownership. Months later, the rights were snared by WBBM-AM and the CBS-Chicago cluster, which states it will make a profit on the Cubs because it can sell inventory and opportunities across multiple stations it owns, as opposed to WGN’s single radio outlet. Leo Durocher got off to a bad start with Jack Brickhouse by demanding his $22,500 fee for WGN work entirely in advance in 1966. By 1962, the White Sox were paid about $300,000 more annually for broadcast rights fees than the Cubs, even though the National League team televised all home games vs. only Sox daytime home telecasts. Meanwhile, WGN Radio had a distinct advantage in coverage. Its clear-channel 50,000-watt signal boomed in all directions, 200 miles around during the day and much farther at night. In contrast, Sox flagship WCFL (AM 1000) possessed just a directional east-and-north 50,000-watt signal at night. Sox chairman Jerry Reinsdorf recalled hearing WCFL after dark while in college in Washington, D.C. in the mid-1950s. Bob Elson’s radio play-by-play for the majority of games could not be heard clearly west of Aurora. The only benefit — a short-term one — was the Sox were paid more for overall less coverage on TV and radio. Making Wrigley’s near-rights giveaway even more worthwhile were the ratings. With the Cubs a 103-loss stumblebum under the College of Coaches and the Sox a contender under manager Al Lopez, then-Brickhouse TV partner Vince Lloyd recalled the Cubs drawing higher video viewership numbers than the Sox when both shared WGN. No wonder Brickhouse, in a script likely written by top aide Jack Rosenberg, praised Wrigley as an owner who always “knows the score” in a live televised commentary in Jan. 1963, just after introducing just retired Air Force Col. Robert Whitlow, baseball’s first “athletic” director,” to the puzzled Chicago audience. Whitlow’s appointment by Wrigley to run the Cubs, in the wake of the crazy “College of Coaches” system, further consigned the team to laughingstock status. Mindful of the profits being shoveled into parent Tribune Co. coffers by baseball broadcast sponsors, Brickhouse lauded Wrigley’s “revolutionary” actions. Watch Jack Brickhouse interview Col. Robert Whitlow upon his appointment and comment on why he thought P.K. Wrigley had winning as his priority. One longtime family friend of Brickhouse figured if the broadcaster had serious misgivings over Wrigley’s management, he couldn’t lose a lot of sleep over them. He easily kept a lid from letting his true feelings slip out over the airwaves. “I don’t think it was tough at all for Jack,” said broadcaster Chet Coppock, whose father, Charles Coppock, had become chums with Brickhouse through mutual friends such as Bears coach Luke Johnsos. Brickhouse not shook up over 1969? Chuck Shriver, Cubs media relations director in 1969 — whom Brickhouse helped get hired at Wrigley Field — added the sports-media style of the time was to not broadcast “inside baseball” negativity. Brickhouse, however, generated one of his most memorable calls — one that still resonates with Coppock — when Willie Smith ended Opening Day 1969 in the most dramatic way. His performance rose with the moment, helping set the tone for the Cubs Mania that gripped Chicago in 1969. Watch Willie Smith generate Jack Brickhouse’s maximum excitement level against Phillies reliever Barry Lersch. Along with masking his true inner feelings about team management, Brickhouse publicly forced a smile when posing for photos or doing live programs with amoral Cubs manager Leo Durocher. Behind the scenes, though, tension was constant since nearly the day Wrigley hired Durocher on Oct. 25, 1965. The story goes that Durocher was supposed to receive $22.500 annually for his pre-game “Durocher in the Dugout” radio show with Lou Boudreau and alternate-weeks “Sports Open Line” TV appearances at WGN’s studios on Monday nights with Brickhouse during the season. 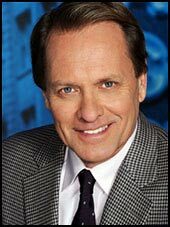 Durocher demanded his entire fee up front — and got it from top WGN brass — before ever doing his first show. That made Brickhouse, as WGN’s sports manager, livid. Listen to the tense exchange between Jack Brickhouse and Leo Durocher on the June 12, 1967 “Sports Open Line” live TV show. WGN’s Rich King got in the middle of the ongoing Jack Brickhouse-Leo Durocher tension in 1969. Rich King was a first-hand witness to the behind-the-scenes feud. One night in 1969, Durocher refused to go on with Brickhouse on the post-game “Tenth Inning” show after a tough loss. Brickhouse told the audience Durocher had declined to come on. “Leo didn’t care for that comment on the air after he got wind of it,” King said. Among King’s myriad duties was the studio production of “Durocher in the Dugout,” typically taped two hours before gametime. In turn, Brickhouse could have been the source of anonymous quote, attributed to a prominent Chicago broadcaster, calling for Durocher’s firing even if the Cubs made the World Series in 1969. The quote was part of a Durocher feature in the Chicago Sun-Times’ Sunday Midwest magazine story that ran Sept. 7, 1969, the day prior to the infamous “Black Cat” series in Shea Stadium that accelerated the Cubs’ fatal slide in the season’s final month. 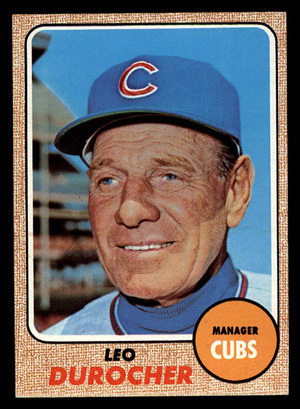 The Brickhouse-Durocher feud did not end with the end of The Lip’s Cubs managerial tenure at the 1972 All-Star break. Three years later, a doddering Wrigley, 80 and out of fresh ideas and relationships with the right people to revive the Cubs, again desired to recycle the men he knew best. The gum magnate planned to name Brickhouse team president and bring Durocher out of retirement as general manager, succeeding the retiring Holland. Brickhouse wasn’t too keen about giving up the lifetime security at WGN. But the deal would have been scotched anyway. Catching wind of Brickhouse’s projected role, Durocher flatly refused to come back. Instead, Wrigley appointed park operations director E.R. “Salty” Saltwell to a dual role as GM. Through all the byzantine behind-the-scenes politics — the type that is just as thick today around Wrigley Field — Brickhouse maintained the super-salesman status for the Cubs. Countless Baby Boomers still talk about running home from school to catch Brickhouse calling the final few innings of a Cubs game. And yet beyond the play-by-play and voice-busting “Hey Heys” with Jack Rosenberg’s typewriter clattering in the background to provide the announcer with information, Brickhouse’s interview style that personalized players and baseball officials was a summertime staple. Rosenberg helped Brickhouse snare the game’s biggest names for the “Tenth Inning.” And his superb ad-lib style stretched through rain delays as WGN kept the telecast going from the ballpark. Brickhouse filled that time with even more live interviews. The Cubs players did not mind walking up the ramps and down a catwalk in their spikes to the old broadcast booth that hung from the upper deck between home and third base. Listen to what may have been the late Kenny Hubbs’ last interview with Brickhouse on the Tenth Inning on Sept. 1, 1963. While Brickhouse was the verbal gateway to baseball, decade after decade, cementing countless fans’ lifetime Cubs loyalties, he participated in so many firsts as a baseball announcer. He called eight no-hitters, six by the Cubs. Most controversial was the final no-hitter on Sept. 2, 1972. Milt Pappas lost his perfect game when umpire Bruce Froemming refused to call three consecutive strike-two pitches to Padres pinch hitter Larry Stahl in Pappas’ favor. Hurting Pappas’ claim was the fact the center-field camera may have conked out and wasn’t used during Stahl’s at-bat, so there was no video record of how the pitches came into the plate. Listen to Brickhouse recall the Pappas no-hitter and how Froemming enforced his will on the pressbox in a minor-league game. That center-field camera was one of the WGN production innovations Brickhouse used in his broadcasts. The camera was introduced at Wrigley Field in 1958 presided after it had proved a success on the Brickhouse-led “Boys Baseball” prime-time Little League telecasts out of venerable Thillens Stadium on Chicago’s North Side. Jack was the voice in the first season of WGN color telecasts in 1960, a year after the Cincinnati Reds, via WLWT, became the first local station to air baseball games in tint. He was the first voice of a remote broadcast from America on the first trans-Atlantic satellite telecast via Telstar in 1962. A few weeks earlier, he was stationed at Wrigley Field while Lloyd worked Comiskey Park when WGN televised Cubs and Sox games simultaneously on a Saturday afternoon. The producers did not miss a run scored from either game. All the while, he was on the go at game’s end. After chatting on the “Tenth Inning” at Wrigley, he had to dash back to either the studio at Tribune Tower or, after 1961, the WGN Continental Mid-America Broadcast Center at 2501 W. Bradley Place, two miles west of Wrigley Field. There he would handle first a 5:45 p.m.TV newscast, then later a 5:55 p.m. TV sportscast. No worry if Brickhouse arrived five minutes before air. Handed a script, he might ad-lib most of the show. His colleagues said he could verbally improvise much better than Johnny Carson. The one hole in Brickhouse’s career was never calling a first-place Cubs clincher. The closest he came was five games back in the standings in 1970 and 1973. Jokingly, Brickhouse rued how, fresh from a stint in the Marines, his only season of calling Sox games exclusively was in 1945, while the Cubs won the pennant the same year with Bert Wilson handling the broadcasts on WIND Radio. Brickhouse was included in the WGN-TV booth with Harry Caray and Steve Stone in Pittsburgh the night the Cubs clinched their first title of any kind in 1984. He also handled post-game clubhouse interviews. Lucky to go to San Diego for the road games in the NLCS in ’84, Brickhouse appeared crushed like never before by the shocking Cubs defeat in Game 5, according to longtime Chicago media veteran John Reyes, who accompanied the announcer. For many years Jack Brickhouse had to dash from Wrigley Field or Comiskey Park to the WGN studios to anchor a 5:45 p.m. sportscast or newscast, and later a 5:55 sportscast. After his longest-ever continuous tenure as a Major League Baseball team announcer ended after 35 seasons in 1981, Brickhouse’s imprint on his viewers far outlasted him. His “Hey Hey! : home-run call is one of the most famous all-time for announcers, and was also employed for Bears touchdowns in his 24-year tenure as that team’s radio voice. 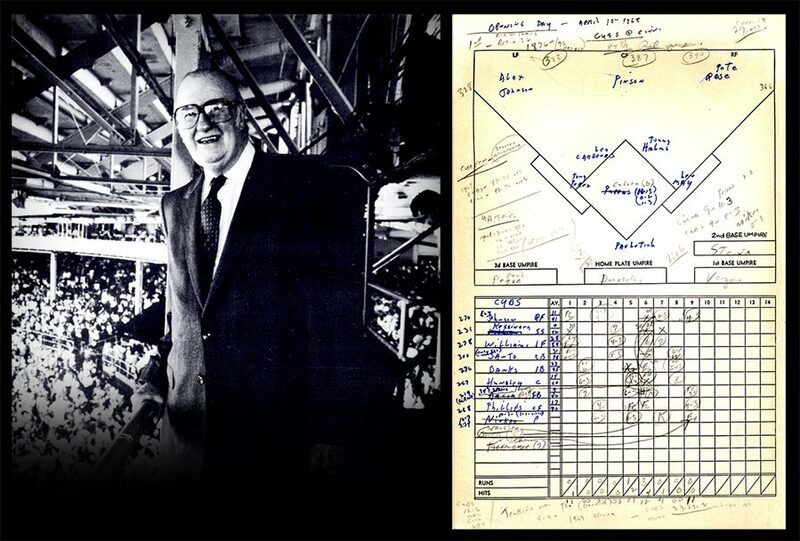 Listen to Jack Brickhouse recall how he originated his trademark “Hey Hey!” home-run call. To this day, his catch phrases like “Oh, brother,” “Watch it now!,” “Here we go!,” “What a disastrous turn of events here in (ballpark),” “Any old kind of a run wins it for the Cubs,” “We will have an extra-inning ballgame today,” “ A day late and a dollar short,” “Here are the unhappy totals,” “For a hot minute there,” “A blue dart,” “Somebody bring my stomach” and “An Alphonse-and-Gaston (not Cito) Act” in the outfield are fondly recalled, and still mimicked. My own favorite was the plaintive disaster call, “Caughtttt…and dropped!” by center fielder Don Young in a July 1969 ninth-inning meltdown in Shea Stadium. Brickhouse retired from daily play-by-play work at age 65. Oddly enough, successor Caray was older, at 68, when he took over. Caray worked 16 seasons until his death early in 1998 two weeks shy of his 84th birthday. About six months later, Brickhouse passed away at 82. Since Caray became the Pied Piper of Cubs baseball, a “Cubs fan, Bud man” in a different manner than Brickhouse, he got the first Wrigley Field statue in 1999, no small thanks to Cubs corporate supervisor Jim Dowdle, who had originally hired Caray for WGN. A year later, a Brickhouse statue, paid for not by Tribune Co. but rather with funds from numerous donors including Chicago sports team owners, was placed on Michigan Avenue, in front of Pioneer Court. While some felt Jack had been relegated to a non-Wrigley Field location, his spot just south of Tribune Tower is the highest foot-traffic location in the United States outside New York. “The Big Brick,” made so much money for Tribune Co. and more than doubled Caray’s tenure, yet his only posthumous presence at Wrigley Field are the red “Hey Hey” signs on the foul poles. If you asked Brickhouse, he’d say neither announcer deserved a Wrigley Field statue before Ernie Banks. The life-size, bronze “Mr. Cub” was dedicated on Opening Day 2008 with speaker Hank Aaron declaring the honor was a decade overdue. Billy Williams and Ron Santo statues were erected in the next three years outside the northeast corner of the ballpark. To make room, Caray’s statue was moved a block north to the outside the bleachers entrance. Somewhere around the Friendly Confines he sold for almost two generations, there ought to be room for a Brickhouse statue to come home. The image of the man for all seasons should be brought back to the ballpark he helped fill and the franchise whose tremendous popularity he helped build.